I wonder if you’ve heard about this before? A little movement called Movember. It’s a month dedicated to gaining a better understanding and appreciation for issues in men’s health. After spending an evening reading up about the event, which led me to forgo my longest beard growth of 4 months for the cause, I found so many fun blog posts, videos, and images centered around this month-long event. For starters, how about this campaign from TWBA\Singapore from back in 2010? While simple creative ideas like the above serve as reminders that a moustache can turn an ordinary person into a historic figure, there are also a number of educational resources to offer ideas on How to Grow a Moustache (this video is with Nick Offerman). The Movember team has done well to find like-minded partners, as evidenced by the nature of the collaboration with Tom’s Shoes. Not only is there a brief video on their site here to offer a perspective on what it feels like to participate in Movember, they’ve also designed an interactive mini-calendar with suggestions for how to structure the 30 days of moustache pared with education around men’s health. Of course, there are shoes for sale. While this year’s edition have a classic feel, I’m a bit partial to an earlier iteration. I am also intrigued by how impact is communicated. As for my decision-making process, it really came down to Halloween night. Most of my contemporaries, especially the ones who were set to celebrate Halloween for the first time, were preoccupied with important all-consuming questions like, “what will my costume be”? While debating whether I would make it to experience a Honolulu all hallows eve (apparently people get super into it here), I was reminded that the following day was to be the first day of Movember, the beginning of a special month with a curious name. Movember, which started in Australia back in 2003, is a month-long event where a million men around the world last year decided to shave down on the 1st of November and grow a moustache. By doing this, the goal is to bring greater visibility to issues in men’s health, particularly prostate cancer, testicular cancer, and mental health, while having fun and resurrecting a facial fad from days past. Changing the face of men’s health is a noble goal, here is more specifics on the causes we are fighting for. 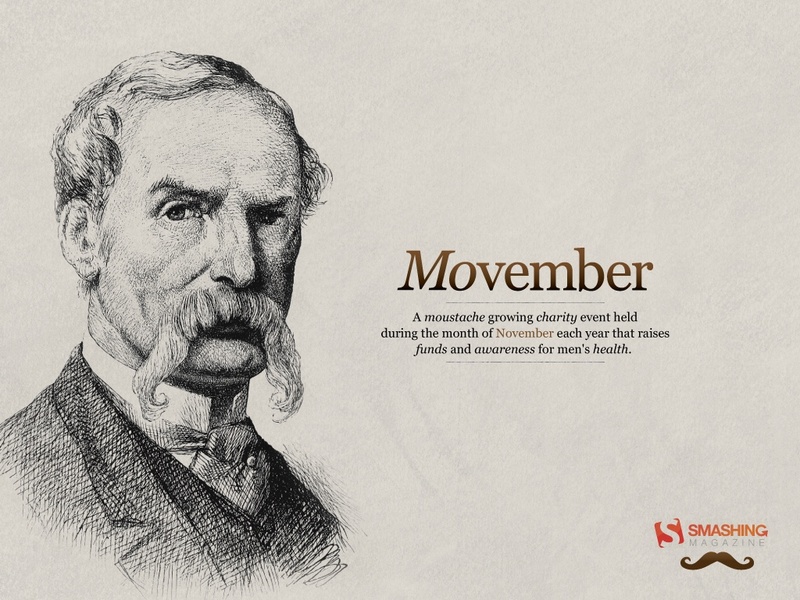 As for more on the back-story, take a quick look at the history of Movember (there’s a great video). And speaking of video, MovemberTV offers a whole slew of fun and informative content for your viewing pleasure. Movember has steadily grown over the last 10 years. Perhaps we could even say organic? Did you take a look at the history yet? There is an interesting and intelligent conversation that engages people around a crucial conversation with humor. And I’m quite interested about how they frame the conversation around impact, as well. The vision, values, and goals are super clear and well-articulated through a variety of mediums: the written word, still images, video. You can do it with your friends. You can join a group of strangers. It brings people together in a fun and unique way. 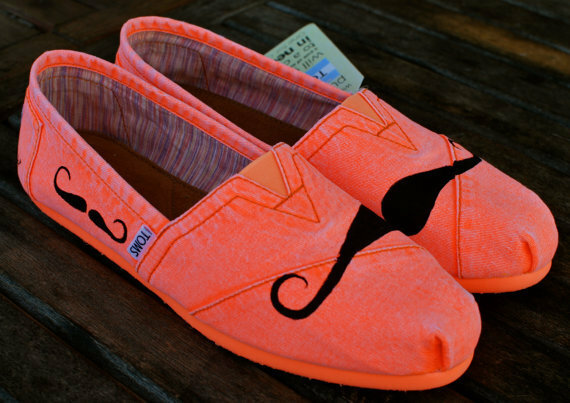 And you don’t just have to be able to grow a Mo to join the festivities, Mo Sistas are equally encouraged to Movember. Besides, team play is much more fun than playing alone. The more people involved, the more interesting the exchange. 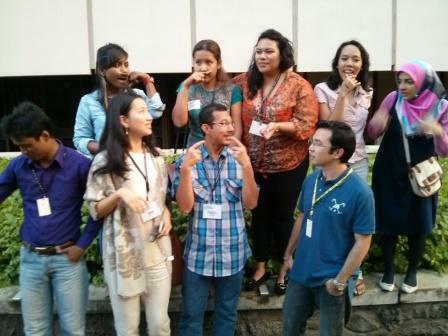 So, we started a team at the East West Center here in Honolulu. 5. What does the Future look like? Interesting questions. What does the future of men’s health look like? What does the future of the Movember Foundation and their activities look like? What does the future of my face look like when it sports a groomed moustache at the end of the month? How about yours? Few of us really look ready for what is to come. While this is my first time participating, I gather that Movember is not about how much your moustache will grow, though however much or however little you do, will likely be fun and funny. It’s also not about how much money you raise in donations, although the donations will contribute to implementing these important programs centered around men’s health. But ultimately, from all that I’ve seen or heard about Movember, if anything is important, it’s the conversations about health. For men. For women. For all of us. 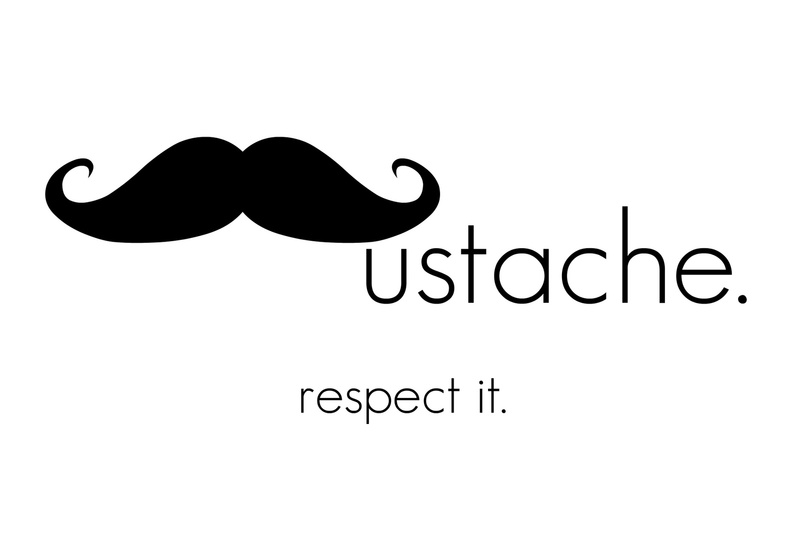 Movember 1st is behind us, but that doesn’t mean you can’t still join in the conversation. For me it started with the idea that 1 in 2 men and 1 in 3 women will be diagnosed with cancer in their lifetime. 1 in 6 of those men will be diagnosed with prostate cancer. While there are plenty more facts to inform you on the current situation in men’s health, you can also begin your journey on the Movember homepage where you will find some incredible energy building around a healthier future. This entry was posted in Uncategorized and tagged Beard loss, collaboration, communication of impact, conversation, creative, futures, How to Grow a Moustache, impact, like-minded partners, Men's Health, mental health, Mo Bros, Mo Sistas, Moustache, Movember, Nick Offerman, prostate cancer, testicular cancer, the story, Tom's Shoes, TWBA\Singapore, vision. Bookmark the permalink. I need to know if you wrote this post with a bic pen. As a self proclaimed recovering perfectionist – what action steps are you taking to become imperfect? No bic pen used for this post. As far as step towards imperfection, a great question. Ultimately I’m not doing a very good job because I’m not being consistent enough with my daily writing. I need to be acting regularly, rather than every once in awhile.